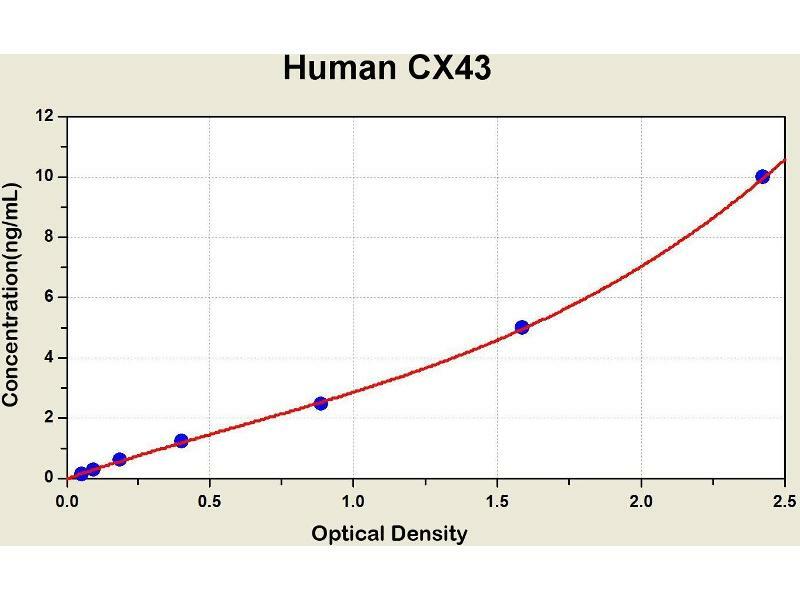 Diagramm of the ELISA kit to detect Human CX43with the optical density on the x-axis and the concentration on the y-axis. 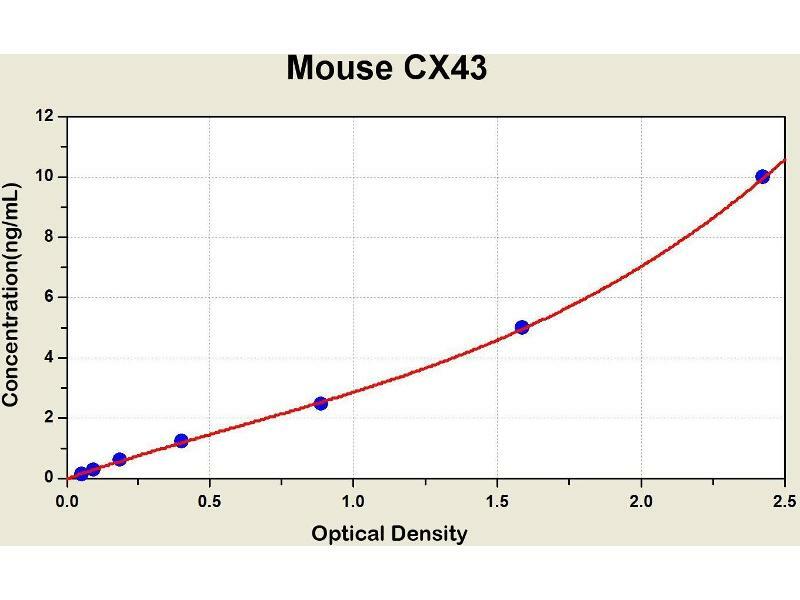 Diagramm of the ELISA kit to detect Mouse CX43with the optical density on the x-axis and the concentration on the y-axis. 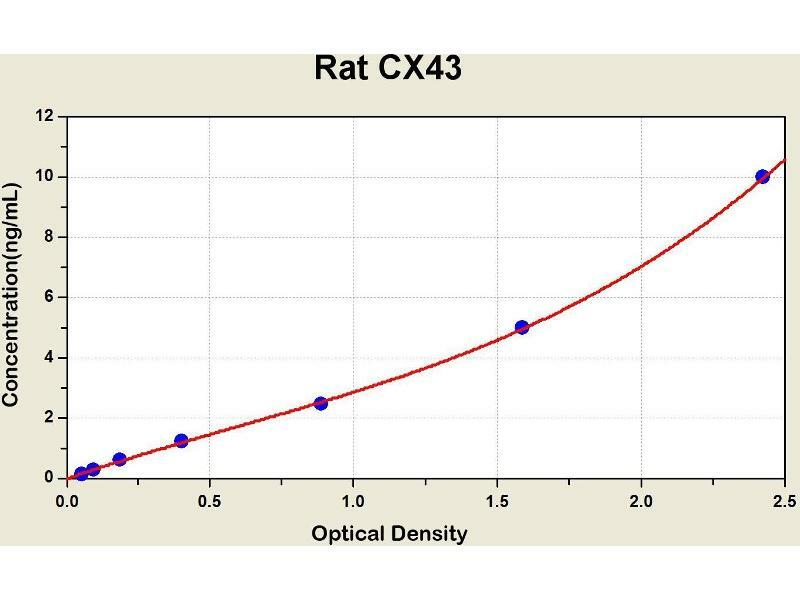 Diagramm of the ELISA kit to detect Rat CX43with the optical density on the x-axis and the concentration on the y-axis. 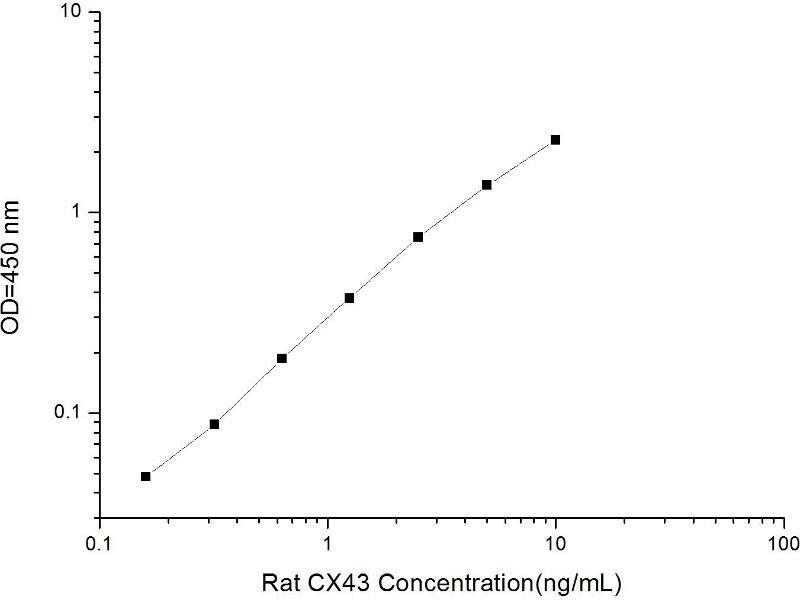 This gene is a member of the connexin gene family. The encoded protein is a component of gap junctions, which are composed of arrays of intercellular channels that provide a route for the diffusion of low molecular weight materials from cell to cell. The encoded protein is the major protein of gap junctions in the heart that are thought to have a crucial role in the synchronized contraction of the heart and in embryonic development. A related intronless pseudogene has been mapped to chromosome 5. 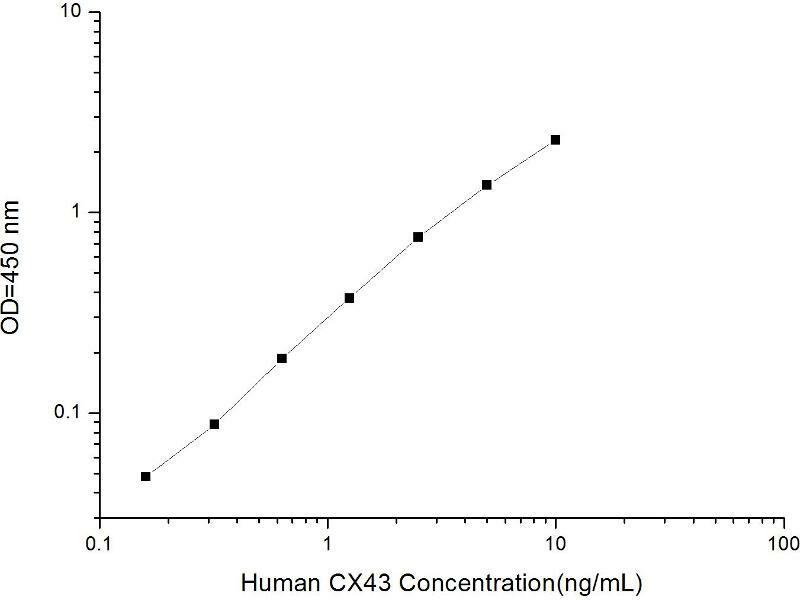 Mutations in this gene have been associated with oculodentodigital dysplasia and heart malformations.